Mug is insulated and includes non-spill lid, great for coffee, tea, hot chocolate and even soup! You know you’ve made it when you own one of these! 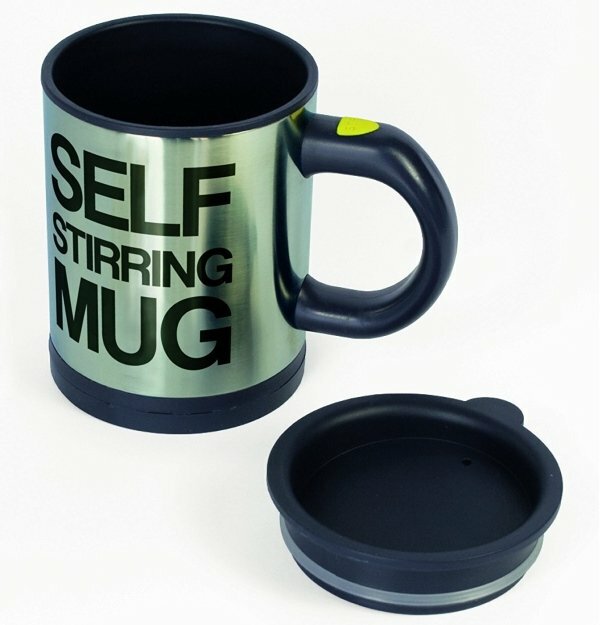 The Self Stirring Mug does exactly what it says – push a button and your cuppa stirs itself. If you are lazy, don’t have any clean teaspoons, unable to stir a drink, or simply being ‘eco-friendly’ and don’t want to dirty any extra dishes – then this mug is for you! Who has time to stir their drinks nowadays anyway? Don’t risk spilling your drink as you stir it too rigorously – allow the automatic drink stirring mug to do that for you with mechanical precision. 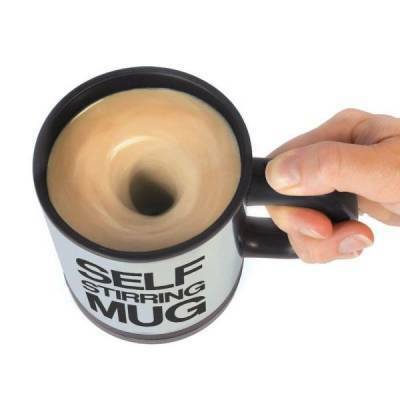 The button that swings the mug into action is located at the top of the handle, so it is very easy to move your thumb in place and begin the stirring process. Of course this type of hi-tech machine requires power to operate. This is supplied via 2x AAA batteries which are not included, so make sure you have some handy for when this arrives. This mug is insulated to keep your beverage hot for those cold days. The mug also comes equipped with an insulated lid to stop your brew from spilling – or anything else falling in. Hand wash only! This mug will not survive dishwasher or microwave treatment.